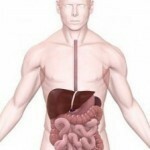 Nausea is an uneasy feeling that can cause a great deal of discomfort. 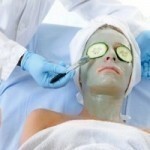 However, the good news is that it can be alleviated using some simple yet effective home remedies. There are several household kitchen staples and herbs that can help to curb the effects of nausea. Herbal mixtures, teas and natural juices all have the potential of alleviating nausea. Heat 1 cup milk until it is hot but do not boil it. Pour into a bowl. Take a piece of slightly buttered toast and crumble it into the milk. Eat slowly. Mix 1 teaspoon honey with 1 teaspoon lemon juice. Dip your finger into the mixture and lick it. This is to ensure that you take the prepared liquid gradually. It is always advised to avoid solid foods when experiencing persistent nausea with vomiting. However, you still need fluids to maintain your body’s healthy balance. Cranberry juice is ideal for this period of fasting as it is full of antioxidants and vitamin C. It is also good for your digestive tract. To stop nausea or vomiting with immediacy, mix 1 cup water, 10 drops lime juice and ½ teaspoon sugar. Add ¼ teaspoon baking soda and drink. Brew a cup of clove tea using 1 teaspoon clove powder in a teacup with boiling water. Strain the residual cloves and drink as required. Steep ½ teaspoon cinnamon powder in 1 cup boiling water, strain and sip. Do not use this remedy if pregnant. Steep a cup of tea with 1 teaspoon cumin seeds and a pinch of nutmeg to soothe an upset stomach. Crush 1 tablespoon fennel seeds and steep for 10 minutes in 1 cup boiling water. Sweeten to taste with honey and sip as required. 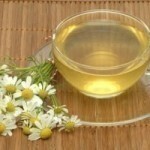 Brew aniseed into a cup of tea by putting ¼ teaspoon in ½ cup boiling water. Steep for 5 minutes. Strain and drink once daily. Alternatively, sprinkle aniseed on mild vegetables like carrot or pumpkin. If you can manage to eat fruits, try aniseed on baked apples or pears. 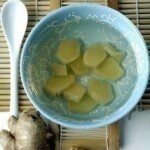 Ginger and ginger root are perhaps the best cures for nausea and vomiting. Ginger consumed in any form, will relieve nausea. Try taking ginger tea, gingerbread or gingersnaps. Ginger ales can also be used if they contain real ginger content. Much of the ginger ales in the market today are absent of curative ginger. Mint tea is as effective as ginger. Steep about 1 tablespoon dry leaves in 1 pint hot water for 30 minutes. Strain and drink. Do not throw the remaining leaves out. Instead, eat them. Eating boiled mint leaves also helps to cure nausea. Smelling vomit usually induces more vomiting or causes prolonged nausea. After vomiting, rinse the remaining particles from your mouth with ¼ cup vinegar in a 4-ounce glass. Ensure you only use the mixture to rinse your mouth. Do not gargle. This should also help to freshen your breath. Nuasea can cause a great deal of discomfort and annoyance. The above mentioned tips will be useful to alleviate this problem and since they are made using easily available resources, you can easily try these home remedies at home.